Owing to rich industrial experience, we are involved in manufacturing and supplying best quality of Polypropylene Wheels with Double Ball Bearing. 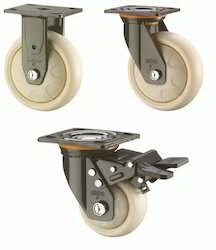 The offered Polypropylene Wheels with Double Ball Bearing is extensively used in skate board and in various other industries and for light duty applications. Unmatchable quality of Heavy Duty Polypropylene Wheels With Durable Ball Bearing is offered by us to customers. The offered Polypropylene Wheels are extensively used in Foodservice, Industrial applications, etc. Further, the offered products are available in the market in a wide range and also tested for its quality assurance while manufacturing. 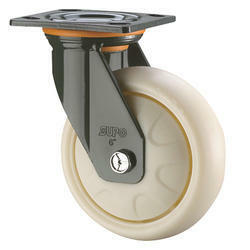 Looking for Polypropylene Caster Wheels ?